The Mahogany Grove CCC Trail is a short, paved trail that winds down a hill through pine groves where the remains of one of the first campgrounds the Civilian Conservation Corps built here in the 1930’s can be seen. 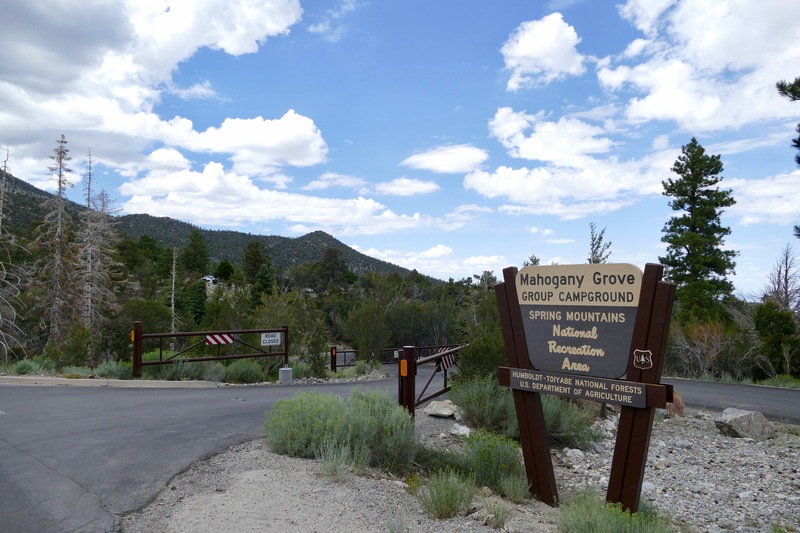 The trail features educational panels about the CCC and their work in the Spring Mountains, plus the remains of historic camp stoves, benches, and shade. Parking lot and trail may not be accessible in winter. The nearby Deer Creek Picnic Area parking lot has bathrooms.